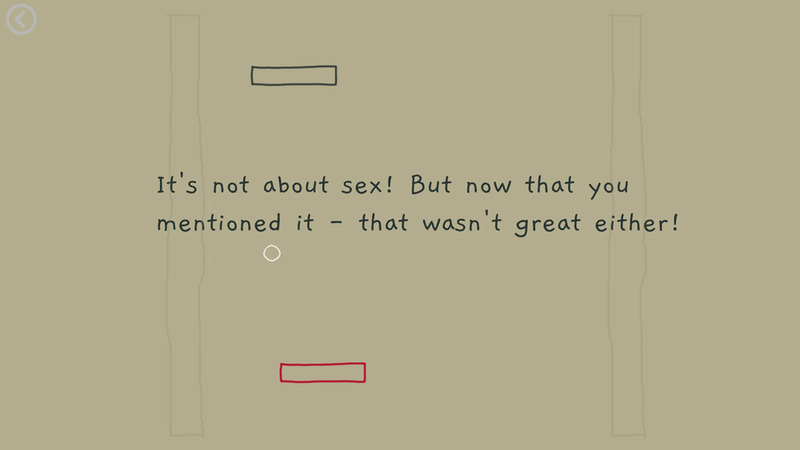 "The most depressing game of "Pong" you will ever play!!!" 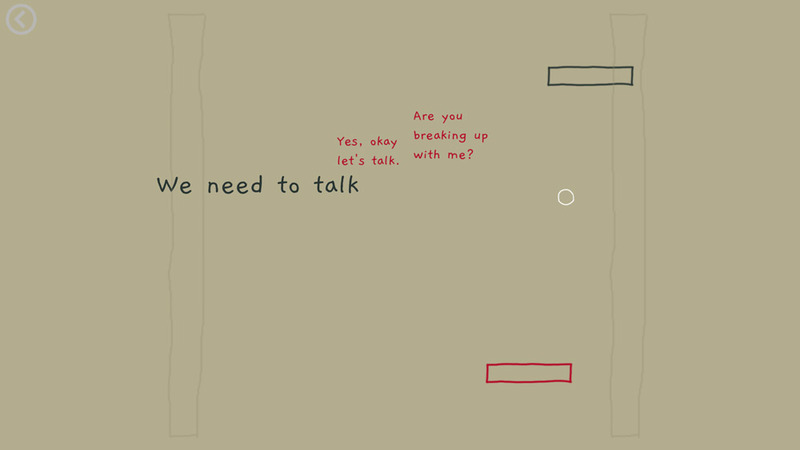 We Need to Talk is a unique game based on the classic and possibly first ever video game “Pong” the very basic table tennis simulator however this is a game of pong that is much more profound, as you hit the ball back and forth you are going through a break up with your significant other and the screen first appears with the phrases of your other half initiating a break up, however you are able to reply and respond by aiming the ball to hit the choice of phrase (there is normally two) that you wish to respond with. Sometimes accuracy (or lack of it) can mean you don’t always come back with the response you hoped for, and perhaps if you can hit those pong balls just right maybe you can salvage your relationship or maybe you can come across as a massive loser! 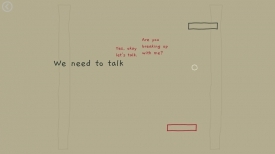 We Need to Talk is fun when playing the table tennis part of it but the conversation can be all a little too familiar at times and it comes across as perhaps a cathartic experience for the developer but it may also be the most depressing game of “Pong” that you will ever play! You can download We Need to Talk here for free.